This family of elephants was very close to the Forested Tent Camp at Mapungubwe and it was fun to watch them shredding bark from the trees. 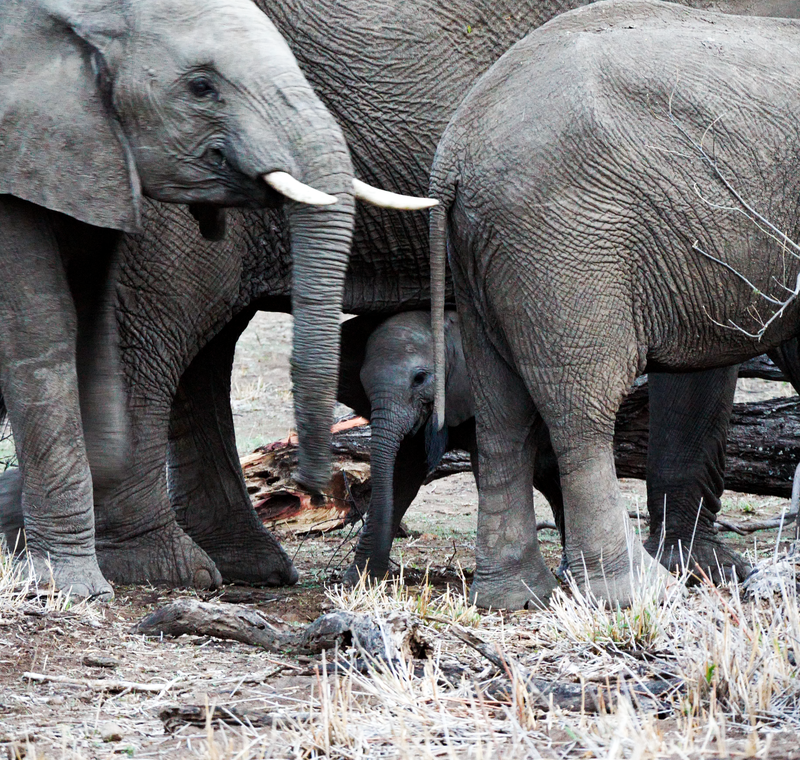 As we pulled up near these elephants, the adolescents quickly got between the infant and the car. They're very protective.